New to our catalog this season. 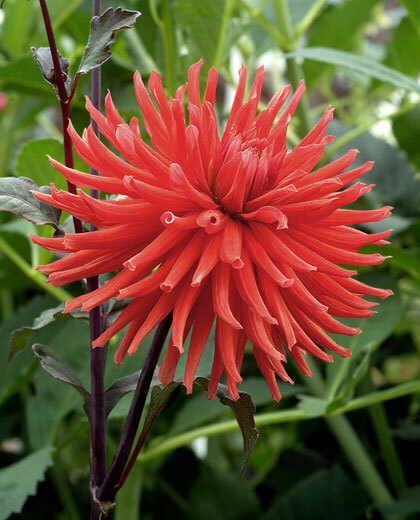 Our favorite new dark foliage dahlia. Great blooms on vigorous plants. This is a garden standout and also is a good cut flower producer.